Why Service Your Vehicle at Hornburg Jaguar Santa Monica? If you’re looking for solid service on your Jaguar around Malibu, you’ve got plenty of good choices, but if you’re looking for first-rate car service for your luxury vehicle, you can rely on our team at Hornburg Jaguar Santa Monica. Here are just a few reasons why Westside drivers count on our luxury vehicle service center. Your Jaguar is an important investment and prized possession, so you don’t want to rely on aftermarket mechanics to handle your auto maintenance and repairs. Instead, bring it to Hornburg Jaguar Santa Monica, where all our technicians are factory-trained and certified with knowledge and expertise about your Jaguar XE, your Jaguar F-PACE, or whichever Jaguar you drive. If your Jaguar vehicle qualifies for Jaguar EliteCare Advantage, you can take advantage of complimentary scheduled service at the service center at Hornburg Jaguar Santa Monica. At our Jaguar service center, we keep a full stock of authentic Jaguar OEM parts on hand at all times. Unlike aftermarket parts, Jaguar OEM parts are manufacturer-approved to fit the precise specifications set by Jaguar to ensure dependability, performance, and efficiency. At the Hornburg Jaguar Santa Monica service center, we have the diagnostics equipment to recognize potential repair needs. We also have a full garage with service bays and advanced equipment to handle all your service needs with the greatest degree of expertise. We want to make sure you’re getting a great price on all your service needs. Whether you need an oil change, brake repairs, tire change, or other maintenance or repair procedure, we keep an ongoing eye on the rates in Southern California. We will match the price of any service center in the area that provides factory genuine parts. 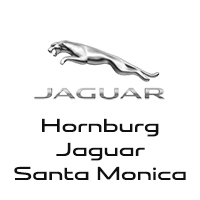 If you’re looking for high-quality Jaguar car service, then count on the team at Hornburg Jaguar Santa Monica. Our service experts are happy to fix up your legendary Jaguar. We’re just 10 minutes from the Santa Monica pier. Contact us to ask any questions, or to set up a service appointment today.